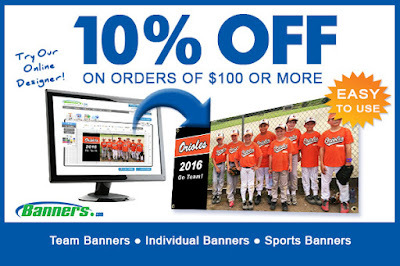 Mention promo code "Baseball2016" to get 10% off all orders of $100 or more now through May 21, 2016. Now is the perfect time to order all of your summer signage, and save money! This promotion is valid on all of our products, and it can be used multiple times! Visit our website to get started on your order.